Happy Anniversary!!! Ninety Three Years ago today, Houdini presented the largest illusion known to man, the Vanishing Elephant! He did this on stage at the New York Hippodrome. No Camera Tricks, No video editing, no post production special effects and no sleight of hand either. Houdini made the Elephant Vanish! Or well, as some would have you believe he HID the elephant in a grand manner. The elephant that Houdini used was said to have been the daughter of the famous P.T. Barnum elephant JUMBO. Houdini capitalized on this at every opportunity. He called the elephant JENNY, and had her wear a big blue ribbon around her neck as she came out. Houdini let the audience know that JENNY weighed over 10,000 lbs and then to prove her gentleness he gave her a kiss every show before making her vanish. Along with the kiss was a block of sugar! This was a spectacular achievement and one Houdini needed to thank Charles Morritt* for, as Mr. Morritt actually came up with the method that Houdini used. After a month of performing the effect Billboard Magazine reported that Houdini would soon make six elephants vanish, though this never came about. As with most things in magic, copyists sprung up and Houdini tried his best to stop them with lawsuits. 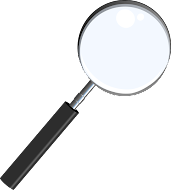 Magician Jean Hugard said that he actually created the Vanishing Elephant five years before Houdini and could prove it with newspaper clippings. Harry Blackstone Sr. also claimed the Vanishing Elephant as HIS original creation, not Houdini's. I don't think either of them was involved in the lawsuit that Houdini brought however. Houdini could have taken the trick on the road but he turned down all offers outside of NYC. Maybe because he was borrowing the elephant and didn't have one to travel with. Also, the idea of vanishing an elephant may have been a bit stronger than the actual illusion itself. Yesterday I was commenting on John Cox's WildAboutHoudini.com site about another Houdini topic and I mentioned I wondered why Houdini never had a poster for the Vanishing Elephant. It's a good question. And John said, 'well maybe he did and we just haven't found one yet'. That got me thinking, what IF Houdini had a poster for the Vanishing Elephant. It stands to reason he would, afterall, he promoted other things like the Buried Alive that he rarely ever did. Given that this was the biggest illusion in the world, at that time, it makes sense that Houdini would have had a poster created. The Vanishing Elephant was only performed in NYC. It was performed in 1918 at the Hippodrome for four months as part of a larger program called "Cheer Up". Then later it was presented at the Times Square Theatre in 1922 to promote one of his movies. Because the illusion was only presented in NYC, any posters that existed would have only been seen in NYC. Although, it would be a great poster to put in one of his theatre displays when he was doing his Three In One Show, so again, it's hard to say. 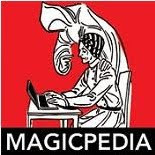 Despite Houdini's attempts to prevent others from doing the illusion, other magicians did and continue to. 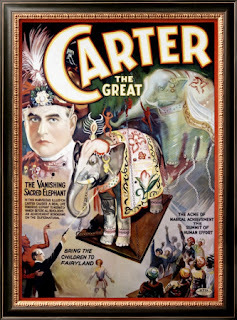 Carter the Great presented a Vanishing Elephant Illusion and promoted it with a very beautiful poster. Kassner from Germany also presented a Vanishing Elephant Illusion and had a couple very striking elephant posters to promote his illusion. Milbourne Christopher, Mark Wilson, Doug Henning, Lance Burton, Harry Blackstone Jr., Siegfried and Roy and others have all presented the Vanishing Elephant Illusion, using a lot of different methods. As a publicity gathering stunt the Vanishing Elephant is quite good. As an actual trick, well that depends upon the method, some of which leave a lot to be desired. Many years after Houdini had passed on another performer took the idea of making the largest thing ever disappear and he promoted it with posters and even a TV Special. That would be David Copperfield's Vanish of the Statue of Liberty. He performed it only once, but used it in his promotion for years (and probably still does)! My burning question, have you ever HEARD anything about a Houdini Vanishing Elephant Poster? If so, please comment below. As John Cox pointed out to me, other unknown Houdini posters have shown up, so who knows, perhaps someone is sitting on a super rare one of a kind Houdini-Vanishing Elephant poster!? Well, we can hope at least. Great work, Dean. I would have had no idea today was the anniversary. Love your mock-up poster. Yes, if only we could find a real one! That Carter poster is gorgeous, btw. I'd have to think IF there was a poster, it would be similar to the mock-up. I'm honestly torn though on whether or not he had a poster because CHEER UP was a show Houdini was IN, it wasn't his own show to promote. I'll say this, if he didn't have an Elephant Poster, he should have! Yeah, that's a good point about Cheer Up. Hey, I had lunch at The Magic Castle today and in the Vanishing Elephant anniversary was noted in their "Friday Lunch Gazette" newsletter. Good for them for knowing this!